The nebulous wandering sounds at the heart of this track hint at more than just a chilled atmosphere. There is a warmth to this, a ghostly warmth, a warmth of things past and remembered and cherished, something like a loved one coming back to watch over you in their afterlife—almost mournful, almost joyful, this track is clouds pierced by sunlight, sadness sprinkled with glad feelings, it is bittersweetness. It has the touching title of 'play palette' and it was created by instupendo. Heady nostalgia swirls heavily around the glass sides of this track like a wine saved and savoured. The wonky decaying synth chimes like an ancient musicbox opened and watched and listened to and almost tasted, memories effusing from it, and then the beauty of that piano, dusty and half-dilapidated, the touching ornamentations and flourishes of recollection, the exquisite details of broad emotions. 'play palette' takes us by the hand, driven along by the smart stoic beat, unceasing clean with snapping clarity, the structure of it providing that grounding of reality as the mists of time whirl round our fingers and we try to hold on; the angular frame of the window as we gaze out of it. 🔔 This comes from instupendo's recent Friend of a Friend EP. You can listen to this on SoundCloud but you can also stream and download it from various other places. 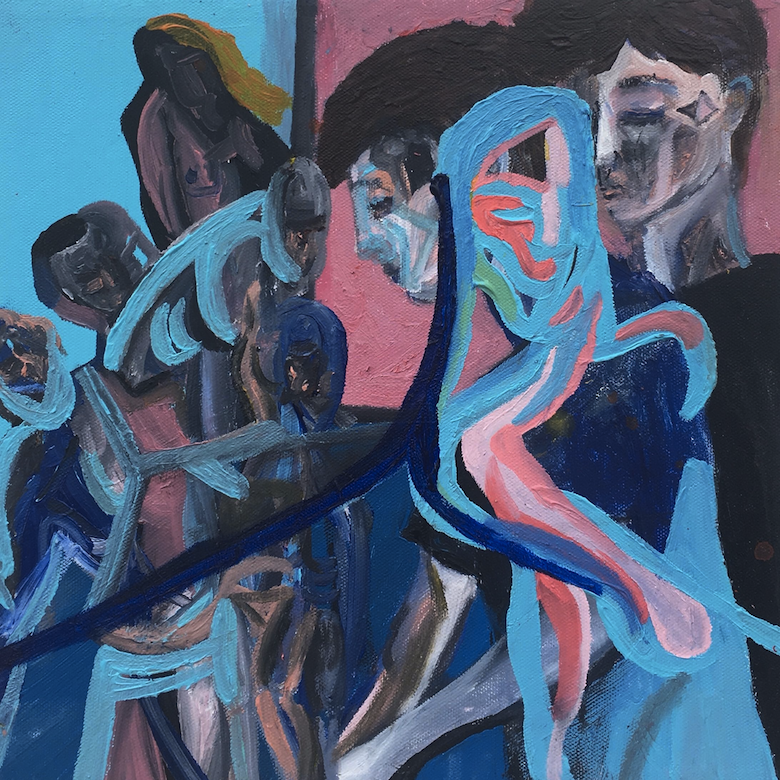 🔔 The artwork for the EP, with brushstrokes and details as indistinct yet bold as the shifting shadows of memorial echoes in the track itself, was created by Kacper Abolik. This artist has, amongst other things, received attention due to his vibrant soulful paintings being featured on A$AP Rocky's instagram.